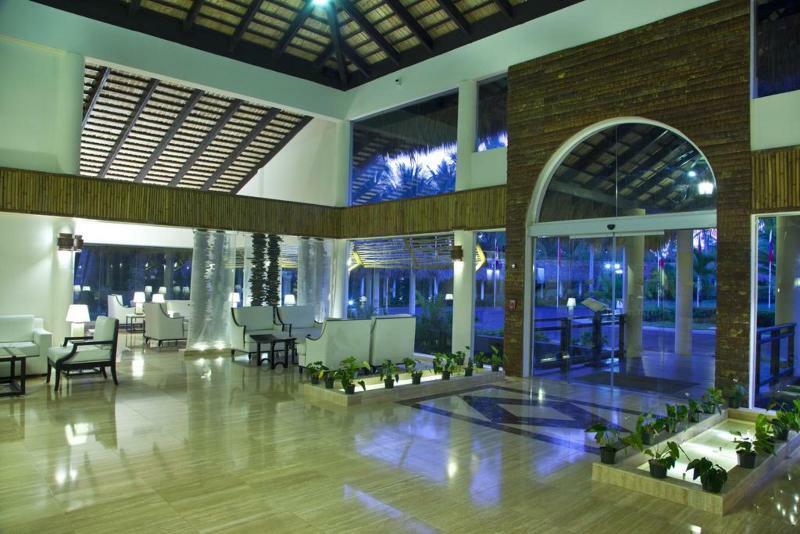 Located in Punta Cana, TRS Turquesa Hotel - Adults Only - All Inclusive is connected to the convention center, within a 10-minute drive of White Sands Golf Course and Aromas Museum. This 4.5-star resort is 4.5 mi (7.3 km) from Bavaro Beach and 15.8 mi (25.5 km) from Punta Cana Beach. Make yourself at home in one of the 372 air-conditioned rooms featuring fireplaces and flat-screen televisions. Rooms have private furnished balconies or patios. Satellite programming and iPod docking stations are provided for your entertainment, while complimentary wireless Internet access keeps you connected. Private bathrooms with separate bathtubs and showers feature jetted bathtubs and complimentary toiletries. Pamper yourself with a visit to the spa, which offers massages, body treatments, and facials. After dipping into one of the 5 outdoor swimming pools, you can spend some time at the private beach. This resort also features complimentary wireless Internet access, concierge services, and gift shops/newsstands. If you're ready for some gaming fun, you can hop on the complimentary casino shuttle. This resort is all inclusive. Rates include meals and beverages at onsite dining establishments. Charges may be applied for dining at some restaurants, special dinners and dishes, some beverages, and other amenities. Enjoy French cuisine at La Boheme only TRS Guests, one of the resort's 17 restaurants, or stay in and take advantage of the 24-hour room service. Snacks are also available at the coffee shop/café. When you are in need of a refreshing drink, visit the swim-up bar or one of 16 bars/lounges, or 5 poolside bars. Featured amenities include a business center, express check-in, and express check-out. A roundtrip airport shuttle is provided for a surcharge (available 24 hours), and free self parking is available onsite. discover all that Punta Cana can offer you!